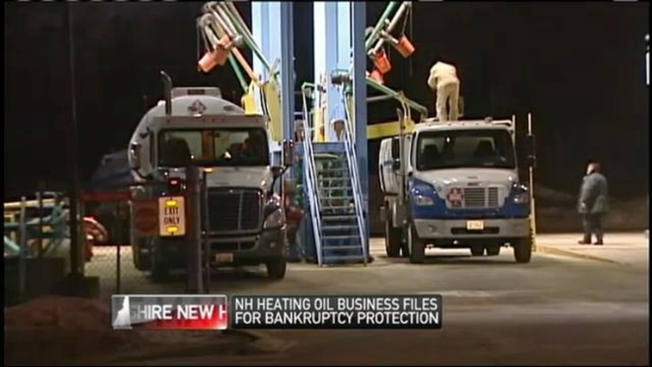 New Hampshire's largest home heating oil company has filed for bankruptcy, leaving tens of thousands of customers wondering what happens next. There are about 2,000 customers who have already paid for this winter's home heating oil and now the New Hampshire Attorney general is getting involved to make sure families aren't left in the cold. Attorneys for Fred Fuller Oil and Propane say the company isn't broke, and that it filed bankruptcy to try and protect its 30,000 customers across the state. "We are working very quickly to move this case along as quickly as possible," Fuller's Chief Restructuring Officer Jeff Varsalone said. This comes just a couple months after a major supplier, Sprague Energy, sued Fuller for $4.7 million in unpaid bills. "They were seeking an order that would let them take rolling stock, which means the fuel trucks, making it difficult, impossible to continue to service customers," Fuller's proposed counsel Bill Gannon said. Gannon tells NECN that Fuller's problems started in January, when a phone system failure caused delivery delays for thousands of customers through the coldest months of the year. "My automatic delivery didn't happen as it did for years," Windham resident Al Letizio said. For a full month, Letizio was forced to prime his own tank and fill it with cans of oil in order to keep his family warm. He says plenty of his neighbors did the same. "It's a really sad situation," he said. New Hampshire Attorney General Joseph Foster has been involved in this case since the beginning and now expects that Fuller Oil will be sold. His office is working on behalf of the company's two thousand pre-pay customers. "We are going to do everything we can in our power to make sure consumer rights are honored by Mr. Fuller, the company, and ultimately, the buyer," Foster said. Letizio isn't taking the chance. After 10 years of relying on Fuller Oil, he took his business elsewhere. "It was clear they were never going to get any more of my money," he said. But the town selectman is worried for families who gave Fuller another chance. "Whether they be elderly people, people living alone, or people in trouble, those are the folks who will be affected...that's my first concern," he said. Foster says there are already interested buyers and that a sale could happen within a couple months. There is no telling what that could mean for the 100 Fuller employees just before the holidays.